A stencil was used to create the background. 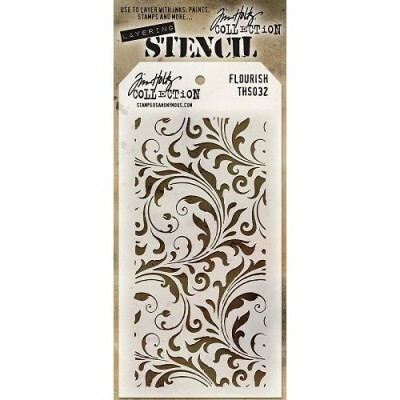 After applying the stencil down securely it was inked with VersaMark and then embossed with white embossing powder. 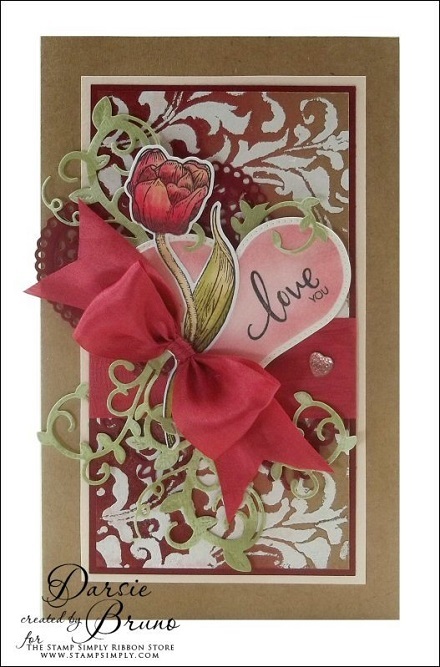 The beautiful reds were sponged onto the background sheet as well as onto the white heart – such a gorgeous look! 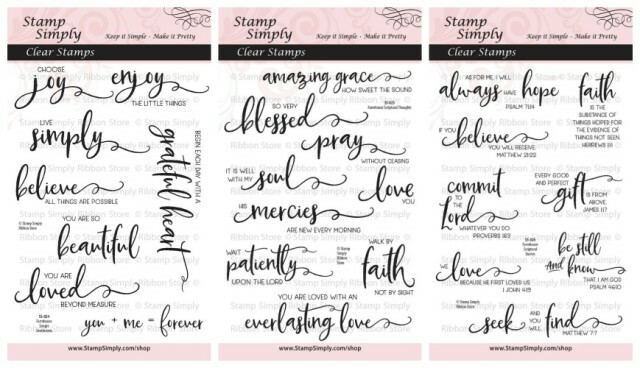 A perfect set to encourage and so pretty!!! Darsie used the largest die on her card today. I love the delicate pierced edging detail and the somewhat plump shape of these hearts. It makes the perfect backdrop for Darsie’s beautifully colored tulip. 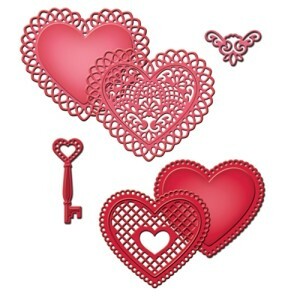 Lace Hearts die set by Spellbinders – truly a classic! 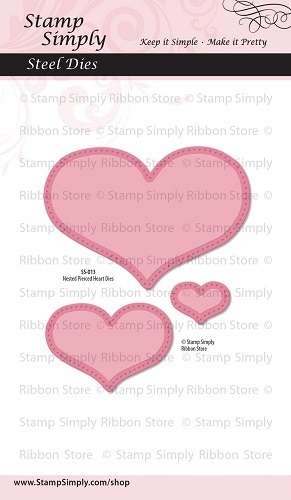 Find other heart themed dies here. 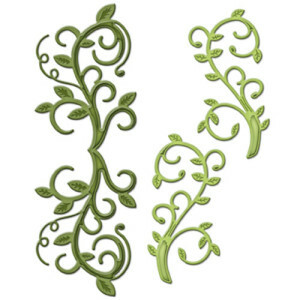 These are such gorgeous leaves/vines to add into your projects. Wow!!! !This card is so very, very pretty! Beautiful Valentine! Thanks for sharing. You can also mail your cards right in the Clear Boxes. Just cut a piece of white paper to the size of the box, add your address and return address, then slip that paper into the box so it shows through. 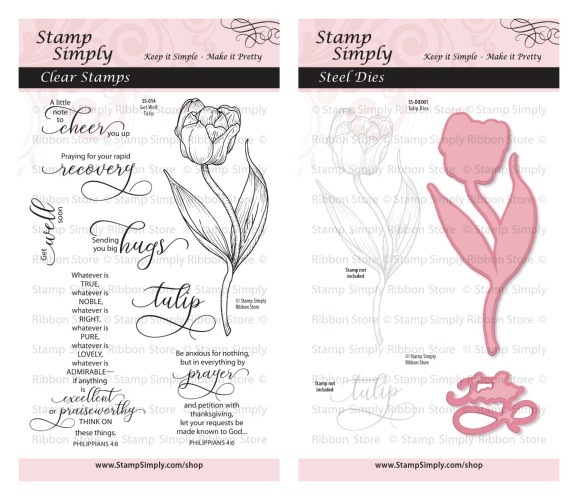 Make sure you apply your stamps to the OUTSIDE of the box. Seal the box ends with the clear circle sealers that come with the boxes. 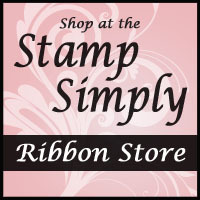 It’ll mail beautifully and make for a great WOW! on the receiving end!